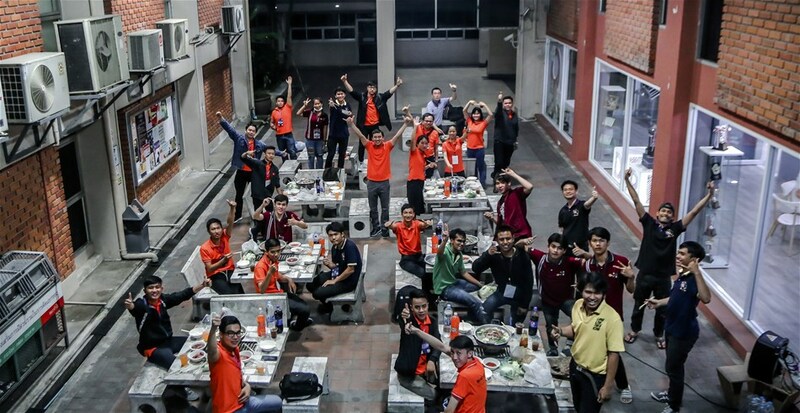 Recently, lecturers and students of LHU had completed the trip and exchange program for students of Faculty of Mechatronics - Electronics and Faculty of Information Technology at Dhurakij Pundit University Thailand (DPU). The trip took place in the early days of November, leaving unforgettable experiences. To enhance LHU students' professional qualifications and cultural exchanges with DPU students, many useful activities had been organized during four days at DPU and some places in Bangkok. LHU delegation included 6 lecturers and 12 students participating in the exchange program. CITE (College of Information Technology & Engineering) - a unit affiliated with LHU welcomed the delegation enthusiastically. After landing at the airport, the delegation was warmly welcomed by Mr. Narongdech Keeratipranon - Director of CITE. According to the program, the delegation took a tour to visit some of the highlights on DPU campus such as Cultural Center, Sawai Sudhipital Museum, Library and Makerspace. In addition, exchanges between LHU and DPU students took place so exciting. Here, the delegation was introduced DPU's robotic instruction program for high school students and orientations to develop science and technology passion for Thai youths. At the exchange program, representing the delegation, Mr. Nguyen Thanh Lam and Mr. 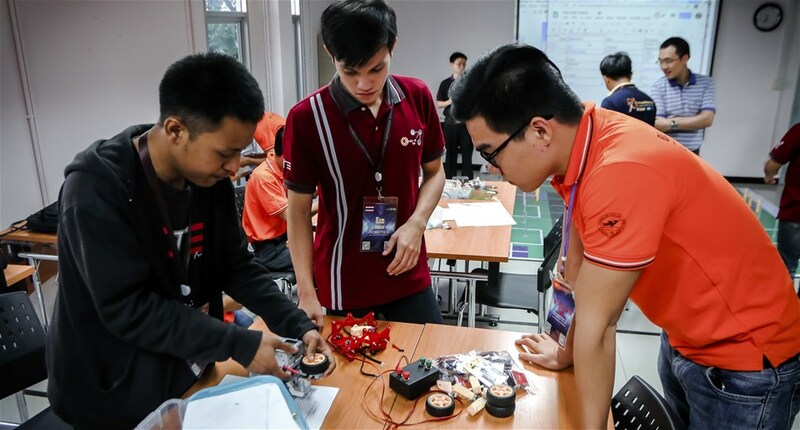 Le Hoang Anh had a talk about LHU and shared the passion and experience in making robots as well as achievements of LHU in ABU robot contests with students of Dhurakij Pundit and neighboring universities. The most exciting part was competitions between students of the two universities. Students cooperated, exchanged, and designed automobile models from legos and other electronic components to compete with other teams. The aim was to promote academic exchanges and to learn from others. 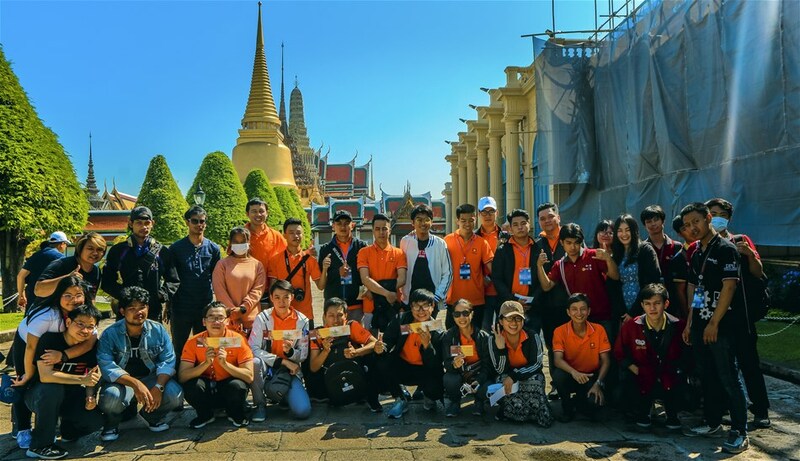 On the last day, the delegation was guided to explore cultural features in Thailand such as The Grand Palace - the symbol of Bangkok and the Thailand Kingdom, Khlong Thom Market for old components and Chatuchak Weekend Market. Hopefully, with the international cooperation expanding strategy of the University, this is a trip to open next exchanges between LHU students and international students.